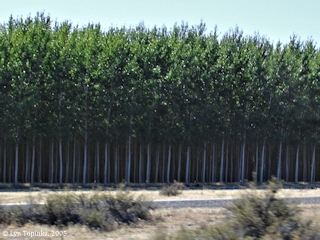 Click image to enlarge Hybrid Poplars, Potlatch Plantation, Oregon. 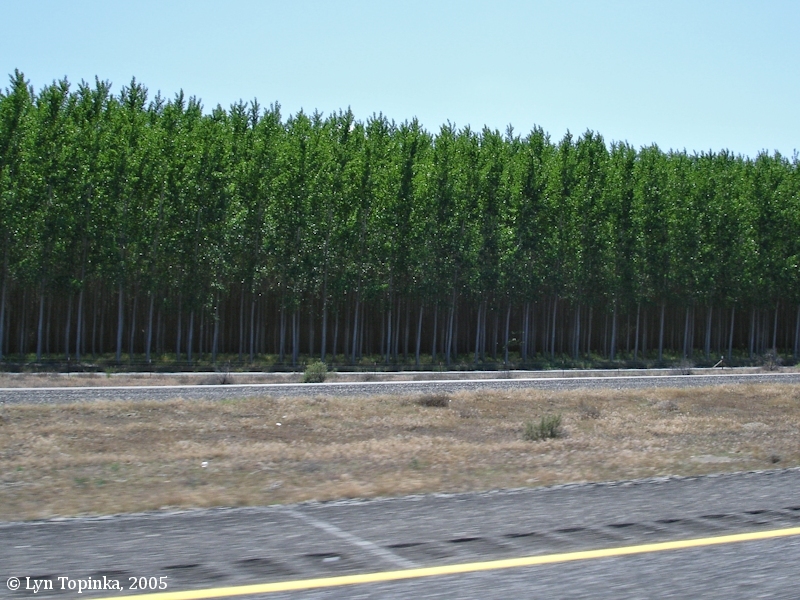 View from Interstate 84 near Boardman, Oregon. Image taken May 24, 2005. 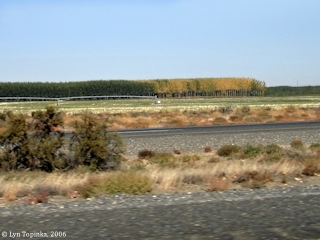 The "Potlatch Plantation" is a 17,000-acre hybrid poplar facility located on the Oregon side of the Columbia River east of Boardman and south of Irrigon. Great views can be had from Interstate 84. Click image to enlarge Hybrid Poplars, Potlatch Plantation, Oregon. 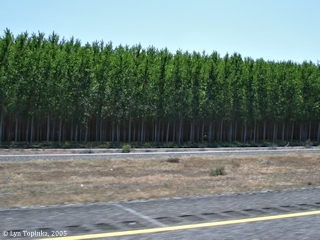 View from driving Interstate 84 near Irrigon, Oregon. Image taken September 25, 2005. 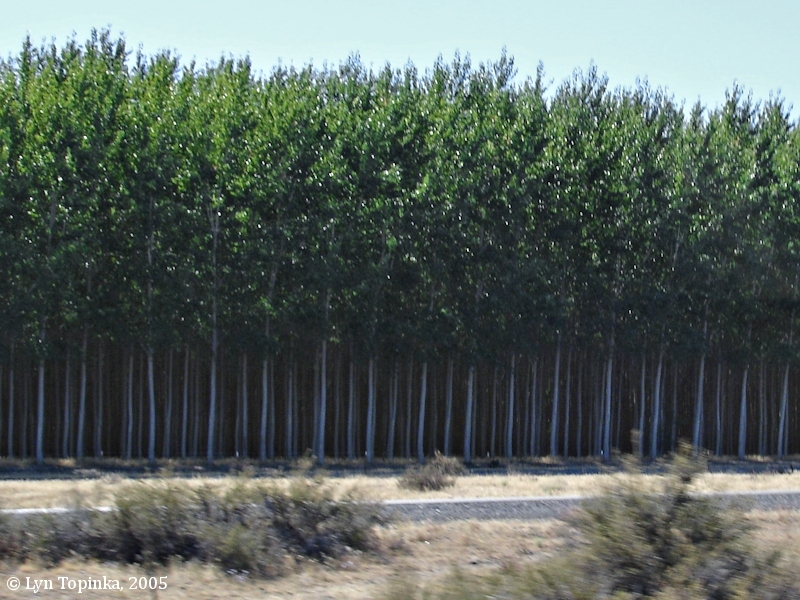 Click image to enlarge Hybrid Poplars, Potlatch Plantation, Oregon. 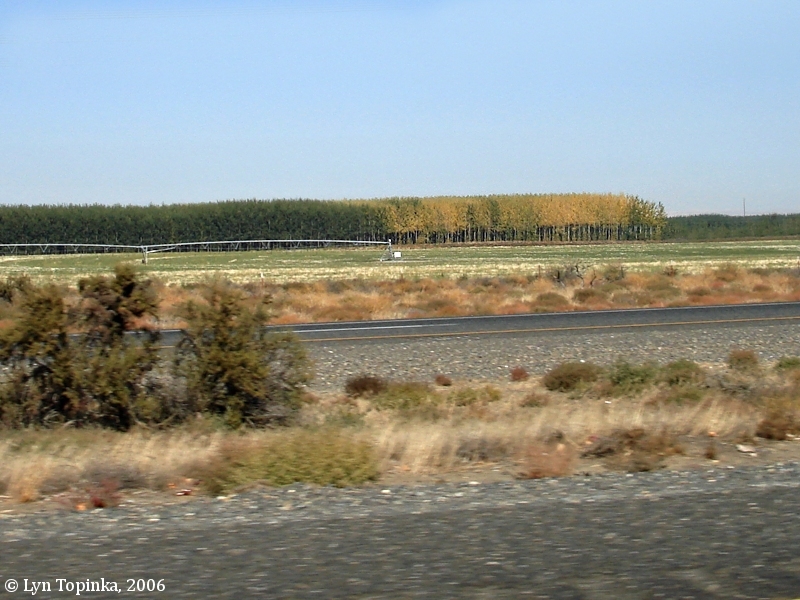 View from Interstate 84 near Irrigon, Oregon. Image taken May 24, 2005. Click image to enlarge Fall colors, Hybrid Poplars, Potlatch Plantation, Oregon. 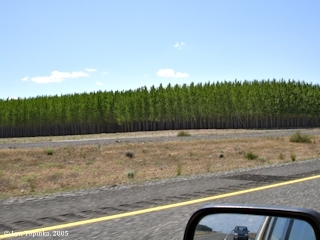 View from driving Interstate 84 near Irrigon, Oregon. Image taken September 29, 2006.